What's hotter than this weather? This! Row 101 Summer Pop Up, the hottest and chicest bazaar in the metro. That's right, ladies, it's time for summer shopping! Temperatures may be reaching their peak, but that won't stop me from pulling on a pair of sandals and chic co-ords, plus some of my daily non-negotiables from the first ever summer pop-up store in Manila. 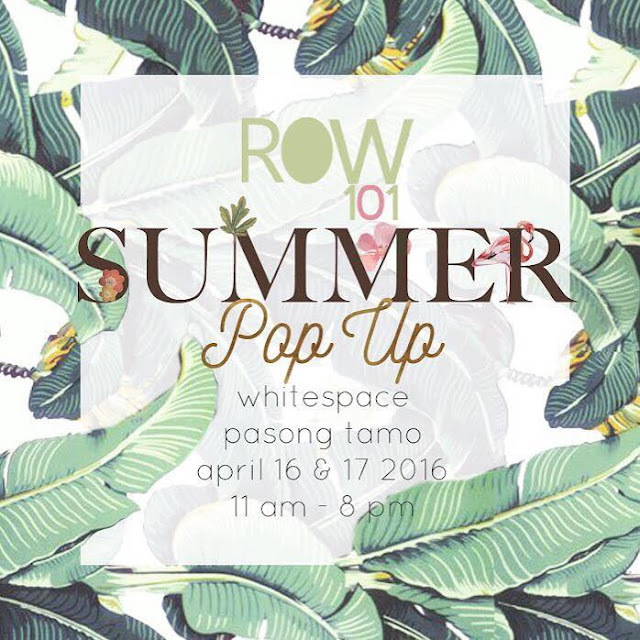 Running from April 16 and 17, 11am-8pm at Whitespace, Pasong Tamo, Row 101 brings you a one-of-a-kind shopping experience where you can snag the most fashionable brands and summer styles you can put together. That was the case this past week, when I got to score unique fashion finds from the Media Launch of Row 101 Summer Pop-Up at The Blackboard, Podium. I was able to shop til I drop (you know, research!) so I can share the good news to you guys, and take the stress out of shopping with these can't-live-without suggestions. These are definitely some key items to look out for this season. Grab some Lipsticks, Eye Shadow and Eye Pencil from Poland make-up brand, Inglot Cosmetics. I also got the Browlash Ex 24hr Water Strong Liner Slim Black and Sculpture long & separate mascara from Japanese make-up brand, BCL, and the Liquid and Pencil Eyeliner from Japanese make-up brand, Dolly Wink. Shop the hottest summer trends from the following specially curated merchants; Benefit Cosmetics, One for the Road, Ink Scribbler, Craft Central, Anma Lifestyle Leather Goods, Flex Apparel, Dirty Paws, Sirena Swimwear, Lulu Swing, Olivia Maningat, Inglot Cosmetics, Bad Pack, Shine Designs Jewelry, MDSN Style, Cocooni Bags, Lumus the Table, Cuesee Creations, Teddy Sage, and many more! I'm loving the bags and chic travel essentials from Myrrh and Gold Manila. You can also find colorful fire extinguishers and pepper sprays, and much more from Bronco Philippines. Nautical stripes and light denims definitely bring the cool to the toasty temperature with these cute handmade bags from Luang. Be summer ready with chic swimmies and the cutest summer bags/ accessories from Abby Jocson! Also, don't forget to check out the 100% handcrafted footwear from Eve and Kelly. Get these stylish workout gear, perfect for lounging around or hitting the gym, if you're ready for a post-shopping sweat sesh. Travel in style this summer with only the best travel deals from Jeron Travel and stylish leather accessories from Anma Lifestyle. 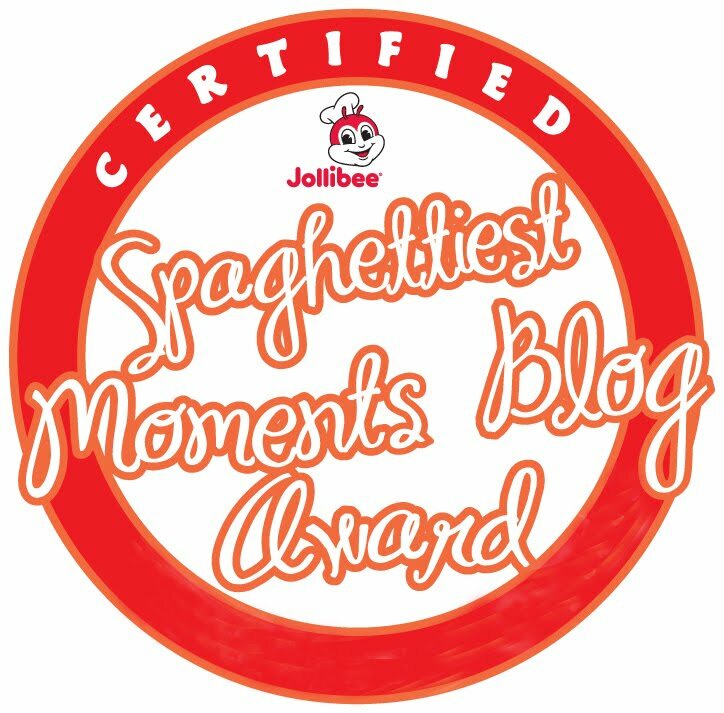 Check out my review here. A number of celebrities and bloggers such as Tina Ong, Rowena Lei, and The Love Club, will also have booths for their pre-loved items. 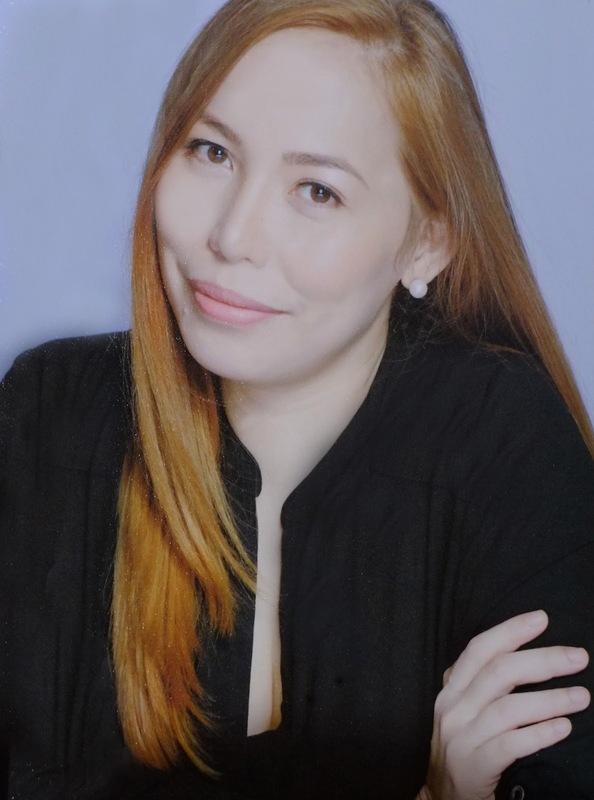 And to make shopping even more exciting, Jeron Travel, Inglot Cosmetics and Benefit Cosmetics will be raffling off some prizes during the event. For more information and updates, visit Row 101 Pop Up Store Facebook page or log on to www.row101.ph. Make sure your calendars are marked this April 16 and 17 for the summer's hottest blow out! See you all next weekend!‪ Happy shopping!